Yokohama, the capital city of Kanagawa Prefecture, is Japan’s second-largest city, and offers a wealth of culinary, shopping and sightseeing experiences to visitors. This is especially true at night when the seaside city comes alive with lights. 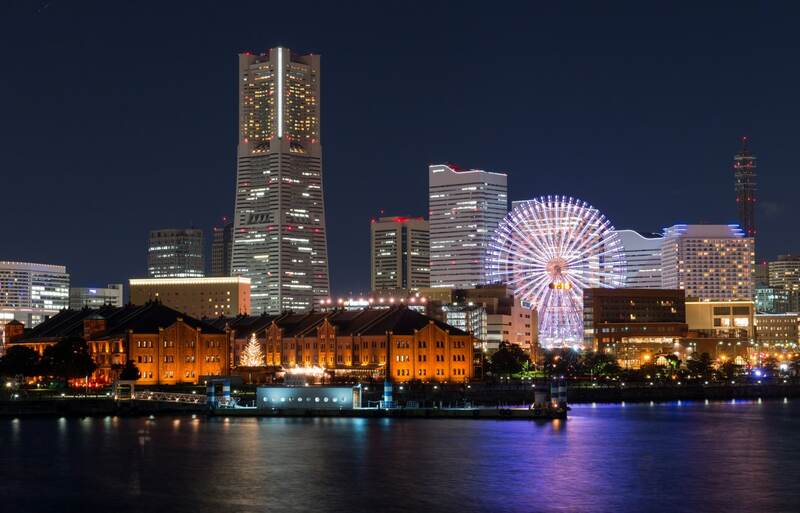 Here are our five best night views in Yokohama! 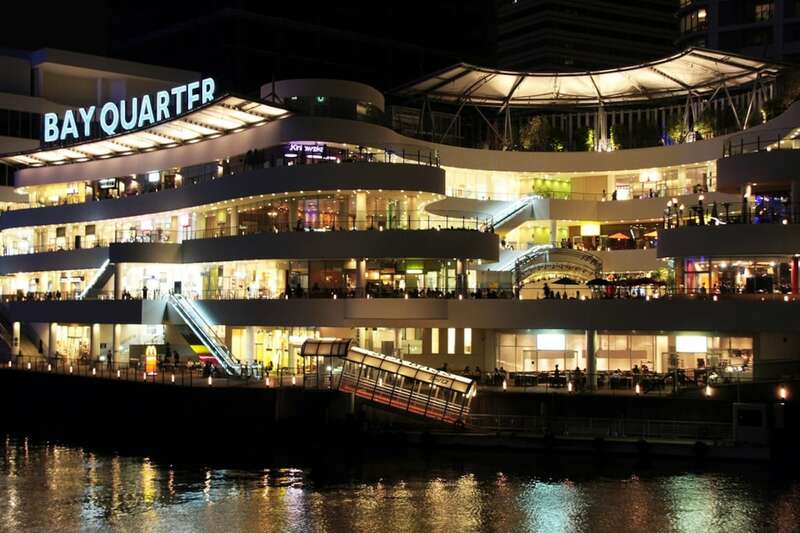 About a 10-minute walk from Yokohama Station, the Bay Quarter Bay Garden is a multi-tiered shopping center that has an observatory on the top floor. Visitors can catch scenic views of the Minatomirai Bridge, the city’s residential skyline, as well as the Nissan Global Headquarters. Once you’ve enjoyed feasting your eyes, take a stroll through the rest of the complex and grab a bite to eat at one of its many restaurants. Redesigned as a park in 2002, the Red Brick Warehouse (called Aka Renga in Japanese) is an iconic fixture of the Minatomirai area, which features an amusement park, large shopping centers, many of the city’s best hotels and the Cup Noodle Museum. The warehouse is lit up at night, and the contrast of old and new—with the large Yokohama Landmark Hotel and Cosmo Clock Ferris Wheel in the background—is a view that shouldn’t be missed. The Kishamichi Promenade was opened in 1997, and constructed on the tracks of Yokohama’s old railways. It’s a popular tourist destination both day and night, as a direct path to the Yokohama World Porters shopping center. The north side of the promenade offers a view of the brightly illuminated wedding hall, Anniversaire, and the Cosmo Clock 21, which is often reflected in the water. In the summer, it’s also a nice place to watch the weekly fireworks shows. The Yokohama Marine Tower is a 106-meter-high (348 ft-high) lattice tower topped with an observation deck. Inaugurated in 1961, the Marine Tower was temporarily closed in 2006 and restored by the city for its grand reopening on Yokohama’s 150th anniversary in 2009. On clear weather days visitors can see Mount Fuji; at night, the dimly lit interiors of the deck provide a fantastic view of the harbor as well as Chinatown. A luxurious five-star hotel, the Landmark Tower is an instantly recognizable piece of Yokohama’s skyline and an architectural marvel in many ways. Built in 1993, the 296-meter-tall (972 ft-tall) building was the highest in Japan until 2012, and boasted the world’s second-fastest elevators, capable of carrying passengers up to the 69th floor in 40 seconds! The Sky Garden provides a 360-degree view of the city, with fantastic views of Mount Fuji during the day, and the best view Yokohama has to offer by night. While the observatory is large, it’s a very popular tourist spot, so visitors should be prepared to wait. Trust us when we say it’s worth it! For more information on other gorgeous spots that didn't quite make the list, check out the link below.